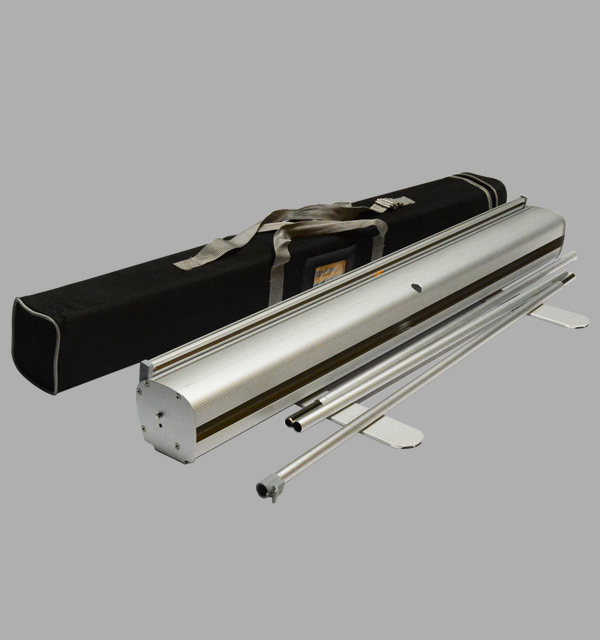 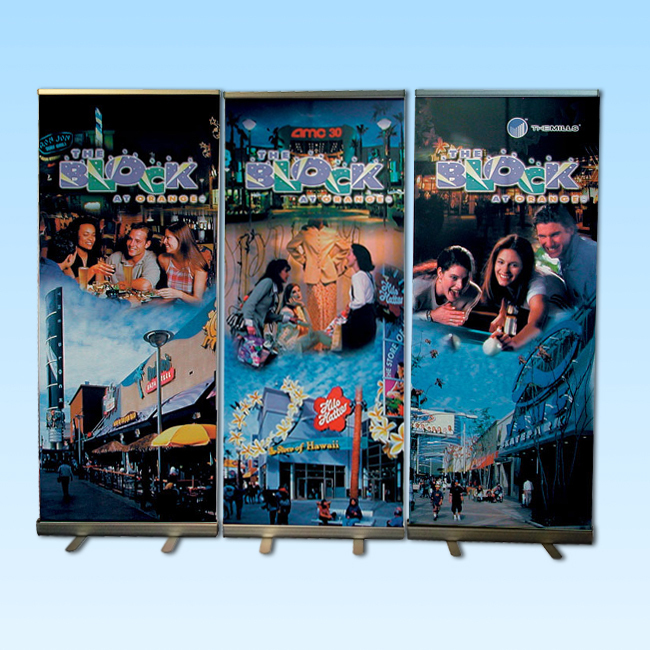 3 Roll Up / Pull Up Banner Stand Pack consists 3 retractable roller banner in a set arranged inline next to each other. 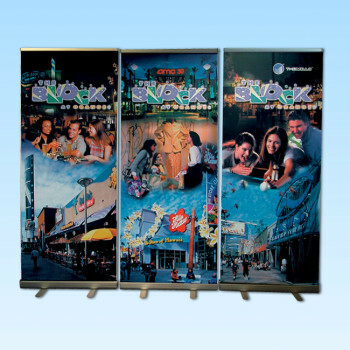 Widely used as a backdrop for exhibit logos, images, marketing messages, advertisements or information at trade fairs, corporate general meetings, press conferences and in shopping centers, hotel lobbies etc. 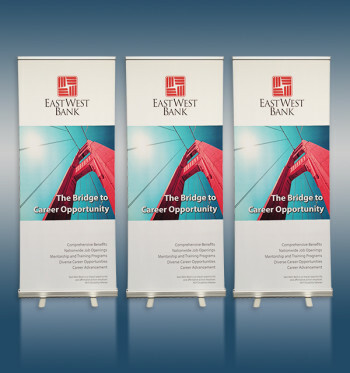 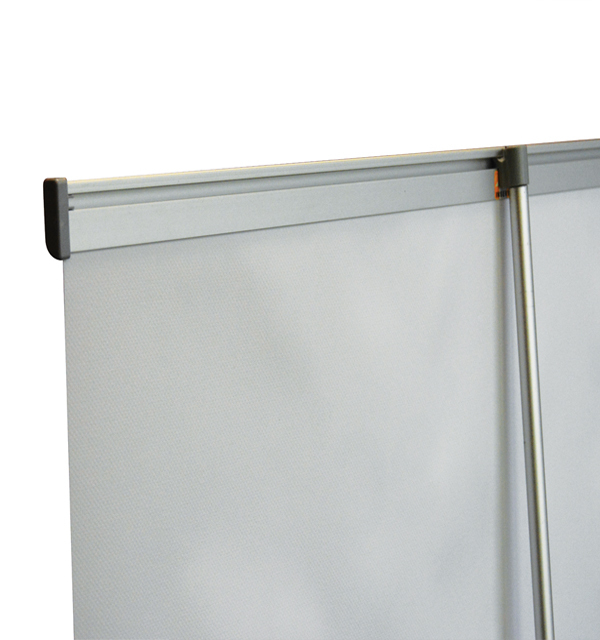 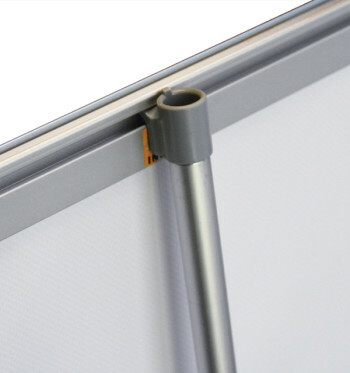 This 3-in-1 Retractable Roller Banner Stand Action Script Set is to create mock ups for your 100.5″ x 80″ (W/H) panels.